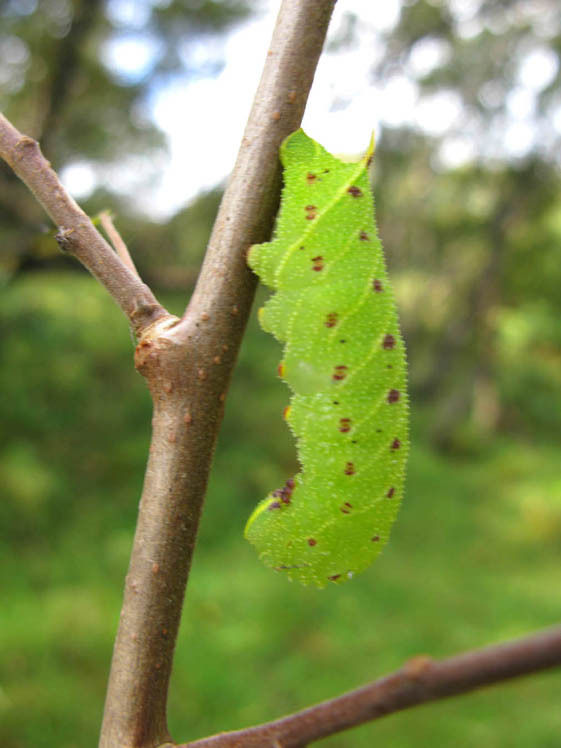 This is a lovely photograph of a well-grown larva of the Poplar Hawkmoth Laothoe populi, the only hawkmoth we seem to have in Assynt on a regular basis. You can see the distinctive yellow-striped ‘horn’ at it’s tail end which, together with the rest of body pattern, is diagnostic. It is not usually so destructive as the puss moth on our native aspens.